2. Sr. Scientist - Ph.D. (Chemistry) with two years relevant experience + Research experience in corrosion research area, minimum five years for Senior Scientist and minimum two years for Scientist. Experience in working in corrosion of industrial and refinery problems will be an added advantage. 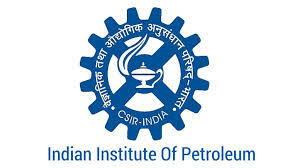 Candidates are required to arrange for a crossed Demand Draft for Rs.100/‐ drawn on any nationalized bank and valid for at least 3 months in favour of "Director, CSIR‐Indian Institute of Petroleum" payable at Dehradun. The last date for submitting online application and making of Demand Draft is 05.05.2018. This date will be the same for the candidates belonging to far‐flung areas. The following details must be filled up on back side of Demand Draft (i) Candidate's Name, (ii) Candidate's Category, (iii) Post Code...... Applied For......... The candidates belonging to SC/ST/PH/Women/CSIR Employees/Abroad Candidates category are exempted from submission of application fee. 8. Candidates are required toThis computer generated application (Print‐out) duly signed and accompanied by self attested copies of the certificates, mark sheets, testimonials in support of age, education qualifications, experience, re‐prints of publications and caste certificate, if applicable along with one recent passport size self‐signed photograph affixed together with Demand Draft (if applicable) should be sent in an envelope superscribed “APPLICATION FOR THE POST OF ____________ (Post Code ________)” by Registered/Speed Post to the address:‐ Controller of Administration, CSIR‐Indian Institute of Petroleum, P.O. IIP, Mohkampur, Haridwar Road, Dehradun‐248005 (Uttarakhand). The last date for receipt of hard copy of application is 18.05.2018. Candidates applying for more than one post must submit separate application form for each post indicating the Code No. of the post. The hard copy(s) of each application must be accompanied by separate Demand Draft(s).arrange for a crossed Demand Draft for Rs.100/‐ drawn on any nationalized bank and valid for at least 3 months in favour of "Director, CSIR‐Indian Institute of Petroleum" payable at Dehradun. The last date for submitting online application and making of Demand Draft is 05.05.2018. This date will be the same for the candidates belonging to far‐flung areas. The following details must be filled up on back side of Demand Draft (i) Candidate's Name, (ii) Candidate's Category, (iii) Post Code...... Applied For......... The candidates belonging to SC/ST/PH/Women/CSIR Employees/Abroad Candidates category are exempted from submission of application fee.